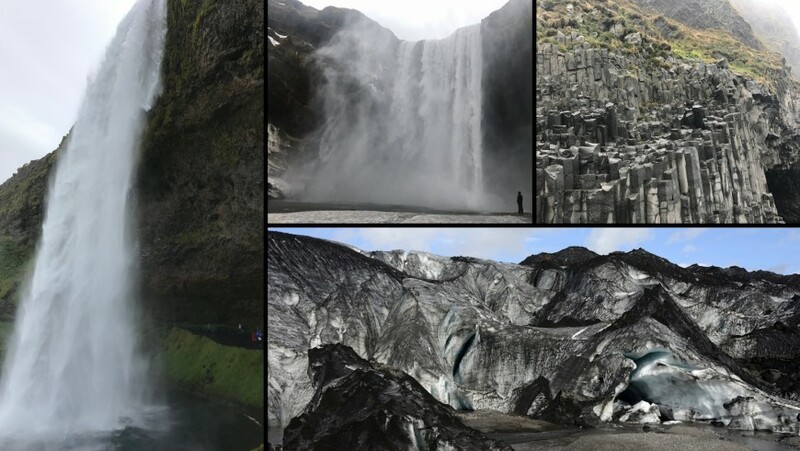 Huge waterfalls, endless landscapes and breath-taking beauties: this is what you are going to see in Iceland. Get out from your “comfort-zone”, you only need a car and a backpack to explore one of the most magic places in the world. Here you go a 7 days road trip to see the major attractions and to dive in the most naked and savage nature. Iceland it’s one of the countries with less habitants in Europe and with a lower level of pollution. Green sceneries and endless possibilities, any traveller that had the chance to see it, knows that in every corner you can find some magic. That’s why ‘ve chosen for you the most remarkable places if you don’t have much time, 7 days of pure astonishment, see to believe. 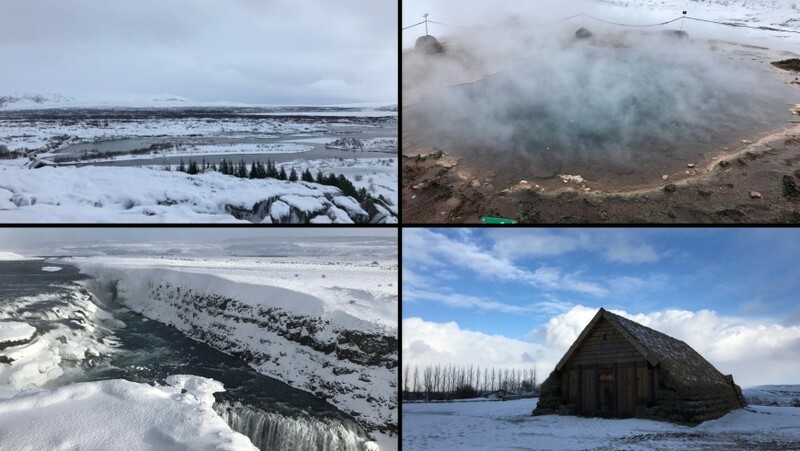 One of the most famous tour of Iceland is the Golden circle, you can make all the stops in one day. Leaving from Reykjavik, in less than one hour you can reach the first destination: Þingvellir national park, UNESCO heritage site. You can walk through a canyon and look at the suggestive view. At the Geysir you can see the inspiring phenomenon of an eruption of hot water and vapour. Continuing with the car you can see Gullfoss, the first of many waterfalls that are the characterising symbol of Iceland. A unique place is the small Skalholt cathedral, very isolated and with a cute house typical of the Icelandic rural landscape. Going toward Eyrabakky, the small city where you can spend the first night, it is possible to visit Kerið, an unusual volcanic crater, for a fee. We start our day ready to see the delights of the deep South. Our first stop is Seljalandsfoss, (already mentioned in the 20 spectacular waterfalls of Europe), Singular because in the mildest periods you can walk behind it. Also, nearby you can go to visit Gljufrabui, a waterfall hidden inside a cave. The next waterfall, Skogafoss, it’s one of the most majestic in Iceland. You can get to it with stairs and from the top you can see all the landscapes (that is green during the summer). Solheimajokull, our next destination is a glacier where you can walk on it. There are tours that take you for a walk on the glaciers. Our last sight for today it’s the unique beach with black sand, Reynisfjara, where there are basalt columns and at the end of the beach you can see the Dyrhlaey natural arch. Some periods of the year, if you are lucky you can spot the puffins, cute birds, symbol of Iceland. At night you can find accommodation in the city more at South of Iceland, Vik. Today we are going to walk a little: in the national park of Skaftafell, where there is the volcano covered by the biggest glacier of Europe, Vatnajokull, you can hike to get to the beautiful Svartifoss waterfall, surrounded by columns in basalt and you can see the vast glacier from the top. After that let’s go to visit the spectacular Glacier lagoon and Diamond beach, called that thanks to the many pieces of ice that resemble the diamantes. To finish our intense day, we get to Höfn, a cosy little city where we can spend the night. In the East part of Iceland, there’s no much to see, but the road near the shoreline and near the beaches along the route, offers amazing glimpses to the nature outside. Going toward the North, it starts the picturesque Eastfjords area and you arrive to the Gledvik village. 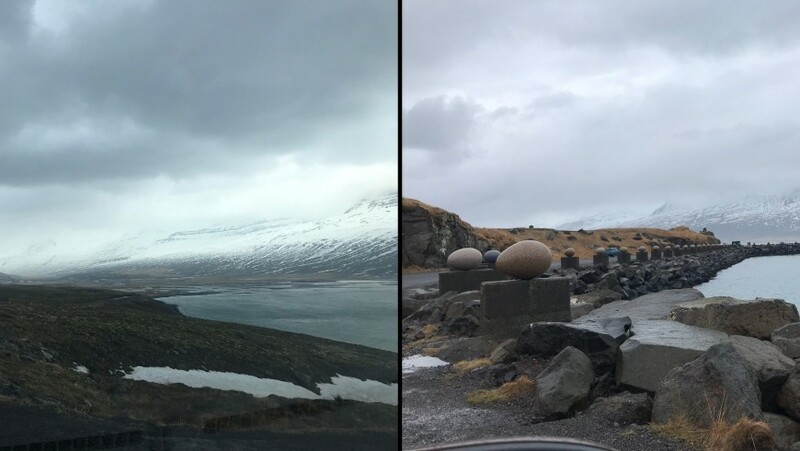 Here you can see the huge monument in the open air “Eggin I Gledvik” that represents all the eggs of every bird species that you can find in Iceland. In Egilsraðir, the lovely city where you will spend the night, there’s another waterfall that you can visit. Today we go ahead to the North, toward to Akureyri, the second biggest city of Iceland. Dettifoss is absolutely one of the most beautiful waterfalls in Iceland, its majesty, impress anyone who sees it. Going forward, you pass the geothermic area of Myvatn lake, where you can admire the classic moonscape, with peculiar rocks formations because of the volcanic attivity. 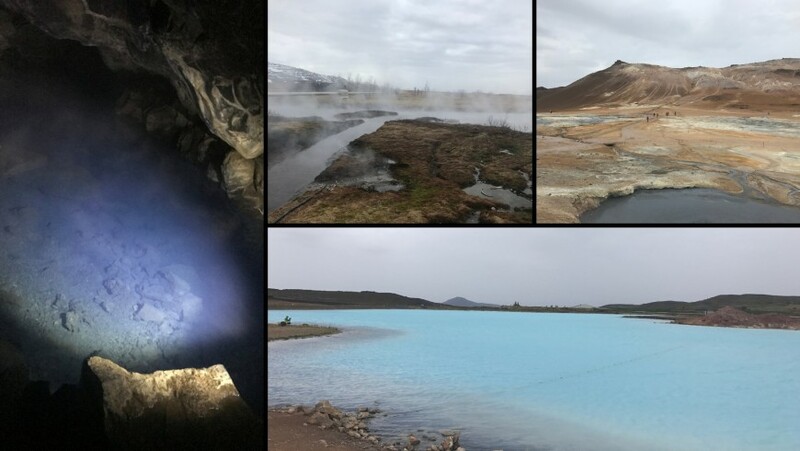 Next to each other we can see Vity crater, Hverarond – the area with the most geothermic activity where there is the Sulphur’s smell- and the blue lake, with a crystal-clear colour due to the super-hot water that comes from a spring nearby. Can’t-miss for the lovers of Game of Thrones is the Grjotagja cave, set of the famous tv series. Last but not least, you can visit the wonderful Goðafoss waterfall, or also known as the waterfall of the Gods thanks to a legend and you can finish your day in the city of Akureyri. 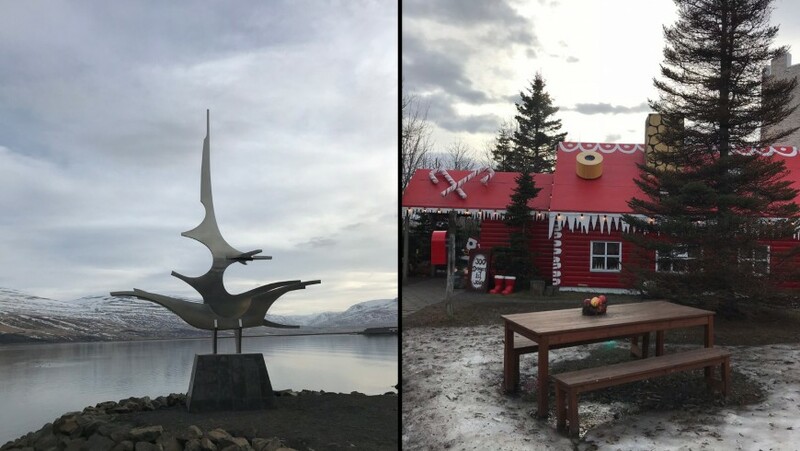 Akureyri is a lovely city to visit, you can find the Christmas house, where they sell Christmas items all the year. Today day-off: we reach our next destination, Hvammstangi, from where we’ll leave again tomorrow morning. In this little village, that is 4 hours from Akureyri, there is the Icelandic seal centre, where you can see this sweet animal. 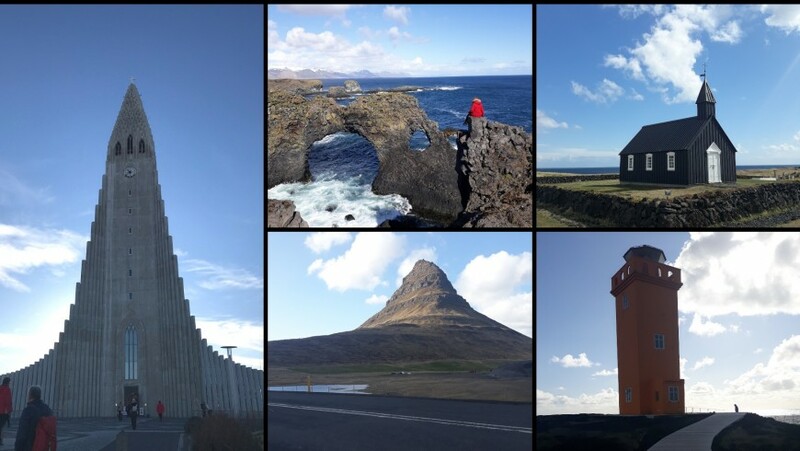 The last day we are going to explore Snæfellsness peninsula, starting from Kirkjufell, in Icelandic the “mountain of the church”, with a singular shape. Our next stop is Öndverðarnes, where we can see a huge orange light house and the view from the cliffs it’s amazing. Skarðsvík is the beach that you can visit nearby if you want to enjoy the sea breeze sitting on the gold sand. Another place that takes your breath away thanks to the tall cliffs with unique shapes is Arnarstapi. Rauðfeldsgjá, is recommended only to the bravest people because is a tough hike on a glacier between two stones walls. Going further with the car, you can reach through a dirt road, Búðakirkja: a small black church in the middle of nowhere just near the cliff is something unreal. Gerðuberg is a suggestive wall made with tall basalt columns, fun fact: the cathedral of Reykjavik was inspired by the volcanic basalt, typical Icelandic phenomenon. The capital, not too big, it worth a visit. 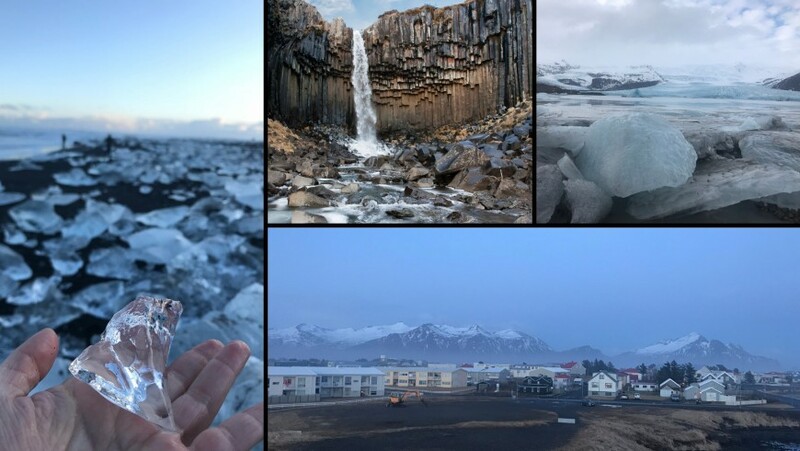 If you have more time to get to know better this stunning country, you will learn that in Iceland you never stop find more magical and beautiful places. Between hot-spot where to dive and a wild nature to enjoy, this is going to be one of the best trips of your life. Hi there! I am a student of modern languages of the University of Trento and I am 21 years old. I was born in Belluno but I have Sicilian roots. I have always loved and appreciated the nature and I am believer of a green tourism that can respect the enviroment. I am a joyous and a people person, always active. My passion for travels and my desire to discover about new cultures and new places, make me travel non-stop around the world. This entry was posted in journeys, travel stories and tagged amazing nature, animals, caves, Iceland, lake, magical places, National Park, natural wonders, waterfalls, winter sea. Bookmark the permalink.